We had enough fun in Nîmes that we've dedicated ourselves to trying some kind of weekend day trip every two weeks or so. 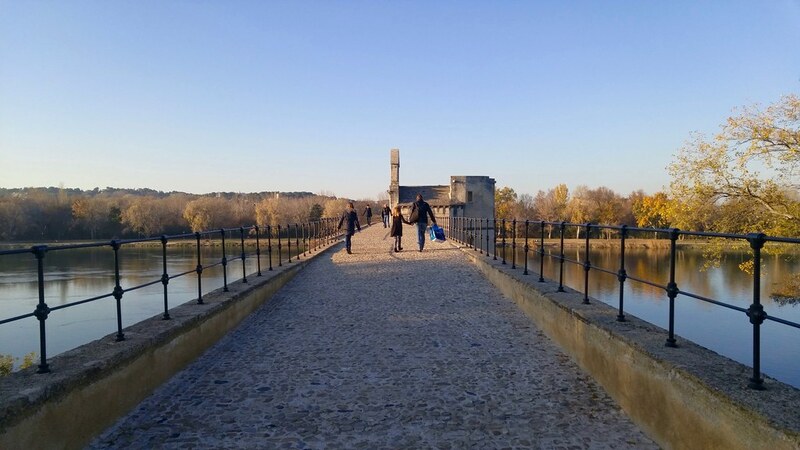 On December 10, we piled back into our trusty little wagon for Part III of our World Heritage Tour and headed to Avignon, in Provence, and its famous Palais des Papes. Why not every weekend? It's not that anyone in my family is averse to sightseeing, it's that being étrangers (foreigners), even well-connected and privileged étrangers, in France is exhausting, especially for our kids, and some regularly scheduled downtime or unscheduled time turns out to be critical. The deal, more or less, is this: our kids get one weekend of laying around in their pyjamas reading books and playing Minecraft and Sims or local activities and, most of all, not sitting in a car, and the other weekend we drive to some World Heritage Site (for real!) while listening to a Hunger Games audiobook (in French) with a guarantee of a gôuter. 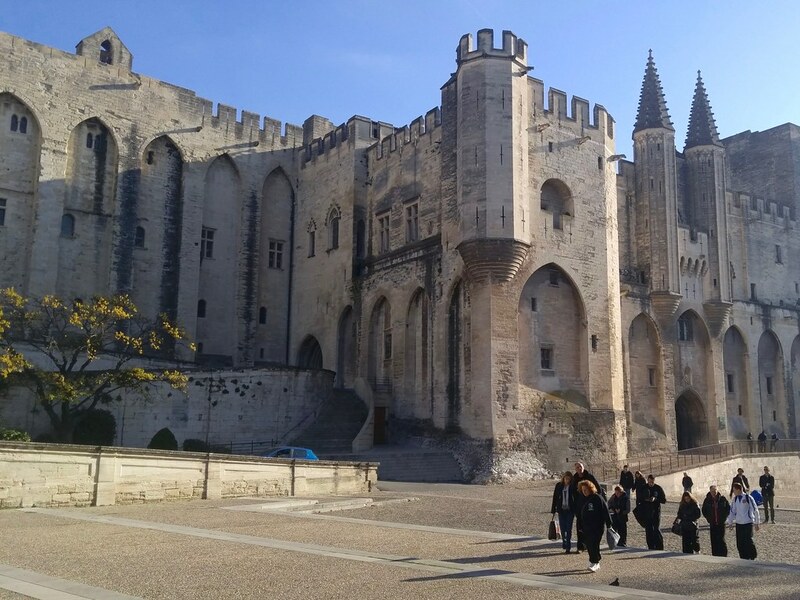 Avignon's Palais des Papes did not disappoint! You can read all about the Palace elsewhere. Suffice it to say that 6 Roman Catholic popes held office here in the 14th century and poured a ton of gold into making it the largest Gothic palace of Europe. It's pretty awesome if you're into castles and fortresses. Extensive rennovation has made it easy to see much of the interior and there are quality exhibits throughout. You can even visit the room in which the popes hoarded their treasure, a windowless room with floorboards (stones, in fact) that were pulled up to add or remove sacks of gold and silver extracted from the faithful. The rooftop café was closed, but that wasn't a big deal because there were several in the square below and we got our gôuter: crêpes nutella, citron, and caramel made fresh in front of our eyes just as they should be. The Pont Saint-Bénézet, the "pont" in the song, "Sur le pont d'Avignon," was close and we walked there next. It's not a huge bridge and doesn't even completely span this branch of the Rhône, but it has character and affords nice views of the river and palace. Avignon had a nice feel about it. There's a sizeable pedestrian center that was packed with Christmas shoppers. We did some shopping ourselves and I saw some attractive restaurants. 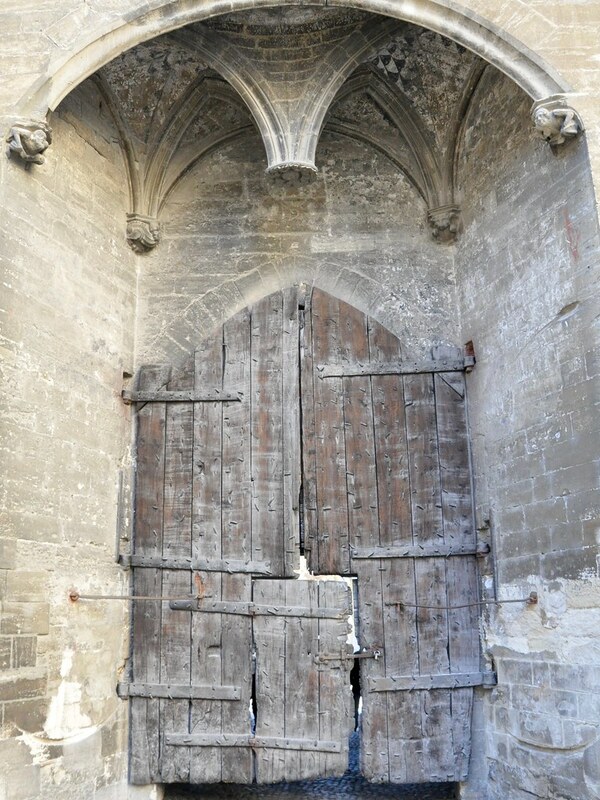 We'll be returning to next summer to check out Avignon's renowned performing arts festival.